Hey guys Happy Tuesday!! Since today isn’t a regular posting day I figured I would post something extra! I used Holiday penguins for this card. 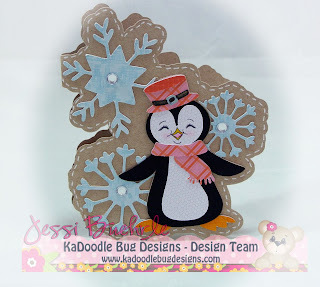 By welding the snow flakes to the penguin I created a new shape, I then offset this shape for my card base. I mirrored the new base for my card and welded them together. If you would like a video on how to do this I can make one. Silhouette cameo to cut it out!